Happy Friday Everyone! Favorite Breakfast Dishes part 2 is here! Perfect time for the weekend. I’m so excited the weekend is here. I feel like the week dragged more than normal. It’s been hot here in Chicago, like super hot. Mid 90’s. Which is about 40 degrees to hot for me! Just kidding. I do prefer the cooler temperatures though. I’m looking forward to fall weather and even colder actually. I want some cooler weather so I can make some soups and chili and just comfort food. I definitely can’t do that with this hot weather. Enough complaining about the weather, lets move on to some breakfast talk…..
It’s my 2nd edition of the savory breakfast dishes. 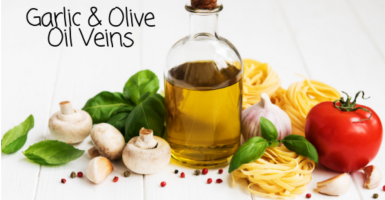 With the weekend upon us I wanted to get this out to everyone today so maybe you can try a new recipe this weekend. I hope you enjoy these dishes as much as I do. Directions: To assemble smash half avocado over each side of English muffin, top with sliced tomato and sprinkle with salt. Simple yet filling and so good. No butter or anything needed. If you haven’t had avocado toast and love avocado as much as I do, I’d give it a try. Direction: Whisk eggs in a bowl with 1T of milk or water. Heat sauté pan over medium heat. Once heated add in the butter or spray the pan. Add the eggs and cook for 1 minutes scrambling. Add in the shallots and spinach and mix well while it continues to cook. After about 2-3 minutes add in the cooked sausage and mix well and cook another minute. Add in the feta and incorporate well till feta starts to melt. Remove from the heat and season with salt and pepper and top over the cooked diced potatoes or hash browns. Direction: Heat a medium sauté pan over high heat. Add in the butter or oil let heat for 30 seconds and then add in the potatoes (whichever you prefer) Cook until they are crunch and cooked through about 12-15 minutes. Times will vary based on your preference of cook. I personally cook them slightly longer as I like them a little crispy. Note: The hash brown potatoes will cook quicker than the cubed potatoes. This is great to partially make ahead. I make extra turkey and potatoes and then the day I’m going to eat it I’ll do the eggs with the vegetables. You can use any variations of veggies you’d like. Directions: Heat small sauté pan over medium heat. Whisk the eggs in a bowl and season with salt and pepper. Add your cooking rings to the pan and spray with the cooking spray and pour the eggs evenly in both rings. Or if you are using a cookie cutter let the eggs cook about 2-3 minutes in the pan and then use the cookie cutter to cut out the circles. Make sure to use a smaller pan so the egg “bun” is thicker and not super thin. Cook the eggs and flip half way through. I liked mine a little crispy so I cooked it longer. Whatever you prefer. To assemble place avocado, bacon and cheese on top one egg and top with the other egg to form a sandwich. You can also make these in the oven with a larger muffin tin. Bake in oven at 350° for 8-10 minutes. Cooking times will vary. Directions: Preheat over to 400°. In a bowl mix together 2 eggs, 1/2 cup of cheese, hash browns and salt and pepper. Spray a cookie cheese with cooking spray. Spread the hash brown mixture on the cookie sheet and form a crust. Make sure it’s not too thick or it will take longer to bake. Bake the crust 20-25 minutes. After that remove from oven and top with 1 cup cheese, and sprinkle cooked bacon. In a separate bowl crack 4 eggs I remove some of the whites to make it less runny. Top the eggs over the crust and bake in oven for another 5-7 minutes until the whites are cooked and yolks are slightly cooked. Remove from oven and cut and serve. 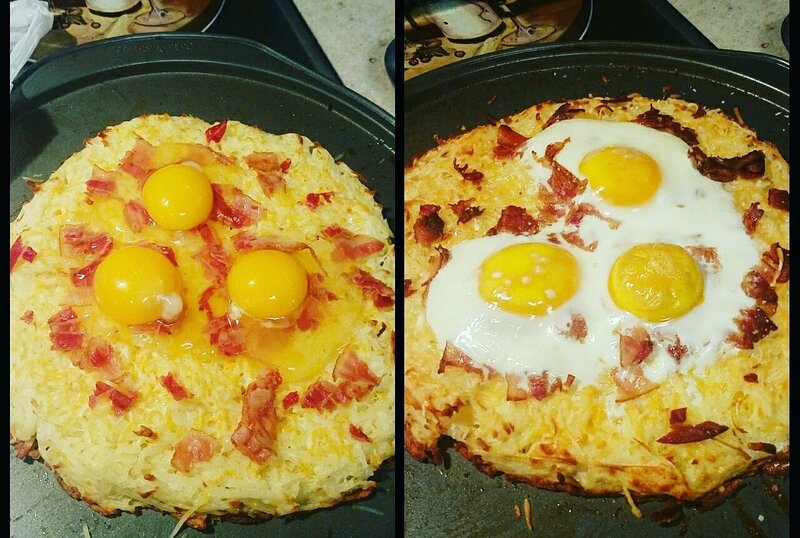 Note: You can make sunny side up eggs in a skillet and then top over each piece of the crust. Baking the eggs right over the crust in the oven sometimes makes a mess. The eggs slide all over the place. I’ve done this method both way. For a hassle free pizza just cook on the skillet. Do everything the same on the pizza minus topping with the eggs. When you take the pizza from the oven for the last time it should be the crust, topped with cheese and bacon. Then just plate with a piece of the crust and an egg sunny side up on the top. You can also make individual portions as well. 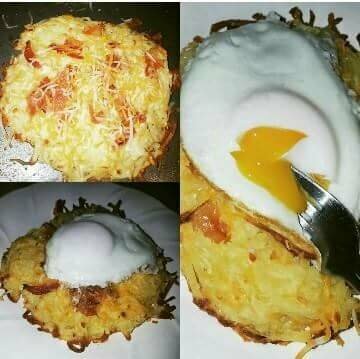 Mini pizza crusts topped with an egg. It definitely will WOW any breakfast guests.